Two projects from me this week! Caity has been unexpectedly loaded with extra work over the next few days, so she unfortunately did not get time to finish her project for this week. 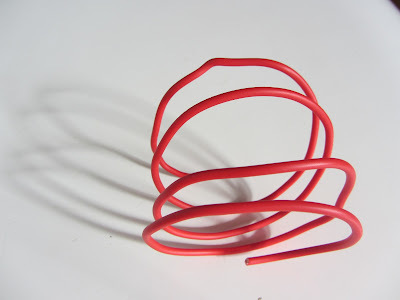 Many of you will already be familiar with my Electrical Wire Ring, which I posted about some time ago. Well, I happened to be hanging out in Bunnings (again!) 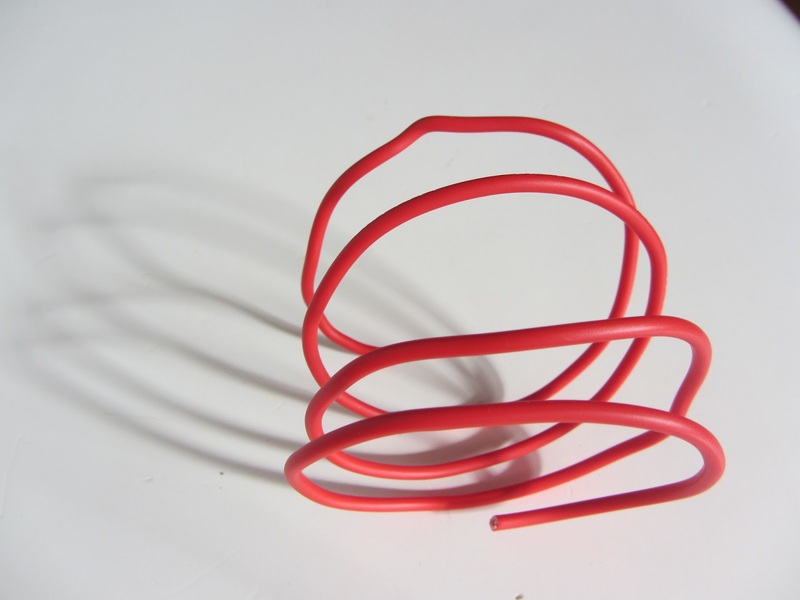 on Tuesday this week and came across this lovely red electrical cable building wire for $0.65 per metre. 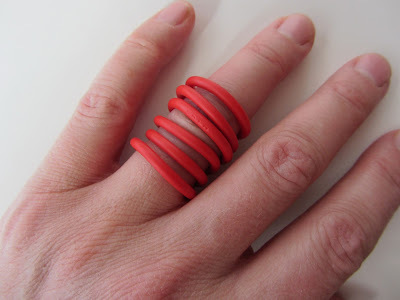 So I thought I’d add to my jewellery collection and make a new ring and bangle for myself! It certainly was a cheap purchase and it looks fantastic! Maybe even your Mum would like a new jewellery set for Mother’s Day? !! 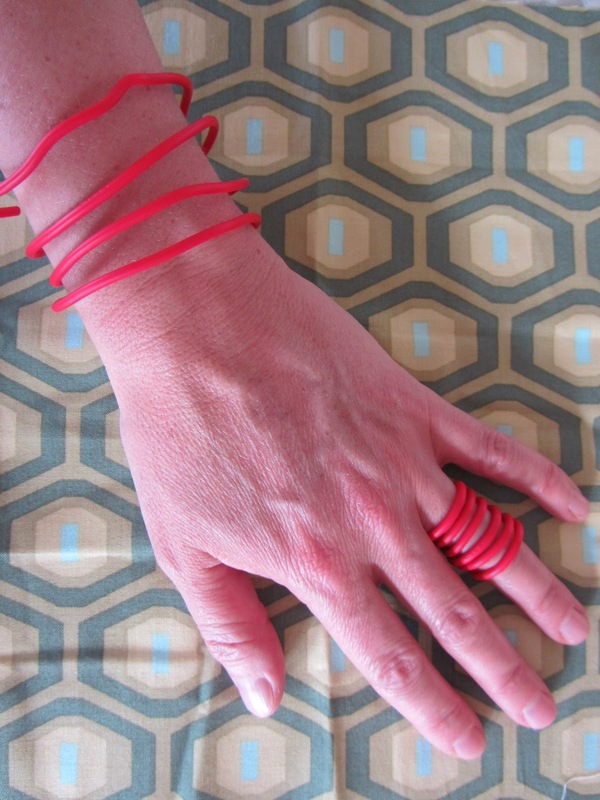 PS You may also like to check out my Funky Red Bead Necklace for some more CHEAP and SIMPLE jewellery ideas!